Welcome to Garrett Door Company. We are a family company, owned and operated since 1985. With over three decades of experience, we sure know our way around garage doors and openers. We offer our customers great quality work and excellent products at the best prices around. 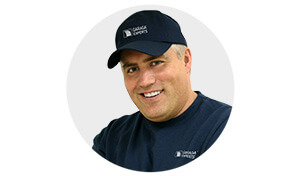 We recommend GARAGA garage doorsto all of our customers. With Garaga, you pay less for better-insulated products, saving you money from day one. Looking for a beautiful door to complement your traditional home? What about contemporary, country-style or commercial spaces? Garaga offers the best selection of styles and colors. Visit our image gallery to see our residential and commercial garage doors. One of the simplest ways to start making your dream a reality is to visit our showroom. We are located at 300 West Montcalm Ave, Pontiac, MI. You may also contact us for a free quotation by calling us at 248-333-2887 or completing our online form. At Garrett Door Company, we also focus on garage door accessories. A new door opener adds both comfort and security to your everyday garage door use. No more getting out of your car in order to manually open and close your garage door! To ensure our customers get the best, we sell and install LiftMaster brand garage door openers. Manufactured by Chamberlain, all LiftMaster products are safe and easy to use. They come with a variety of options like lighting, keyless entry, remotes and more. LiftMaster’s security features help keep your home safe thanks to features like timers, deadbolts and motion detectors. A great garage door opener doesn’t have to be expensive. To see our great prices, please visit our online gallery. Contact one of our experts today and we’ll help you choose your next residential or commercial garage door opener. All of us at Garrett Door Company pride ourselves in honest, professional and affordable garage door service. Thanks to our decades of experience and our focus on quality workmanship, we guarantee your new GARAGA garage door will be perfectly fitted. When it comes to garage doors and door openers, we guarantee the lowest prices in the Metro Detroit area. Our experts provide timely and reliable installations, repairs and maintenance to all of our customers. To keep your garage door working perfectly, ask us about our preventive maintenance program. Located at 300 West Montcalm Ave, Pontiac, MI., we serve all of Oakland County, including Pontiac, Rochester, Auburn Hills, Troy, Clarkston, Waterford, Lake Orion, Bloomfield, Birmingham, and Rochester Hills. Drop by to learn about our products and services, or call us at 248-333-2887 to book an appointment. We look forward to serving you! All of Oakland County, including Pontiac, Rochester, Auburn Hills, Troy, Clarkston, Waterford, Lake Orion, Bloomfield, Birmingham, and Rochester Hills.